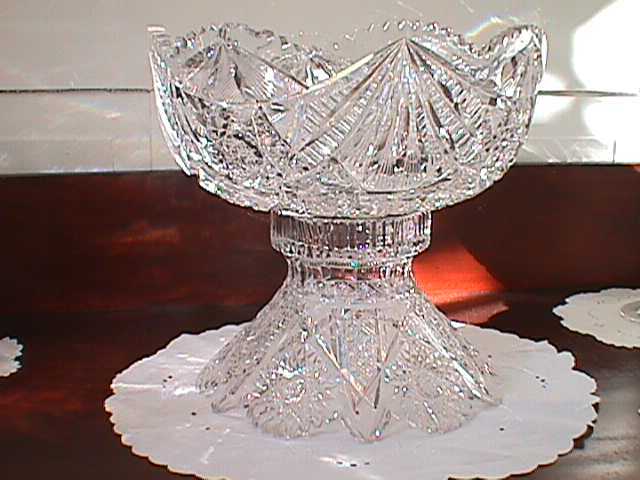 Cut Glass Punch Bowl with Cut Glass stand. 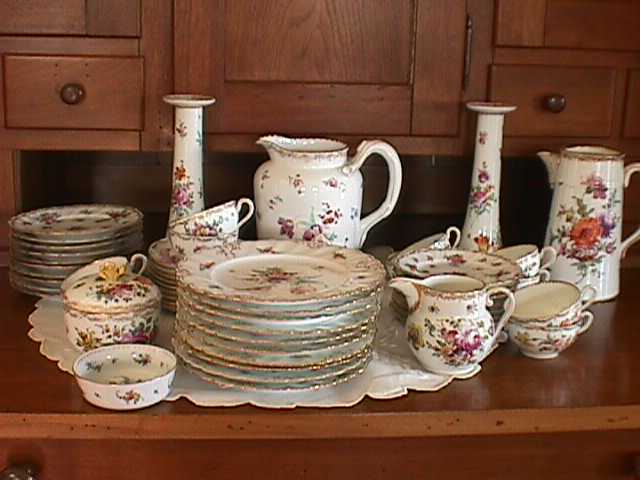 Set of Dresden China, serving pieces and candle stand. Very Fine. 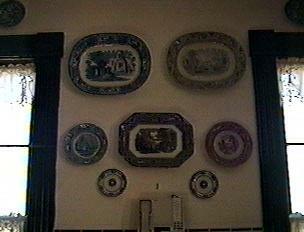 Miscellaneous platters and very rare pieces of Flow Blue. 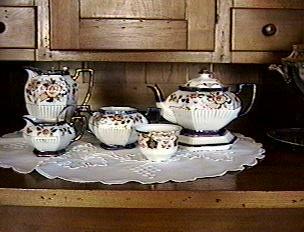 Very rare and complete set of Gaudy Welsh Tea set, with plateau and milk pitcher.